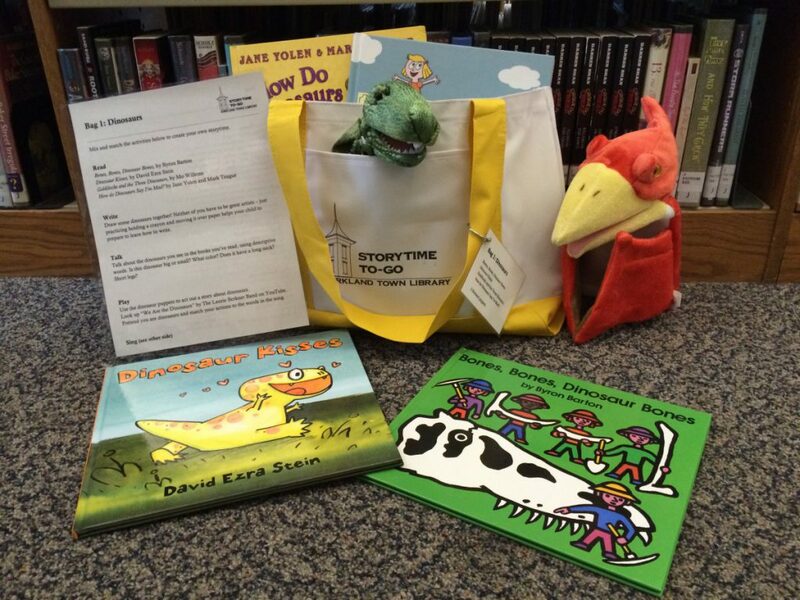 Parents, grandparents, caregivers and daycare providers are welcome to borrow one of our Storytime To-Go bags. Each themed bag has great read-aloud books, suggestions for ways to read, write, talk, play and sing with young children, and a toy to extend the storytime fun. Have your own storytime anywhere and anytime. Choose from dinosaurs, fall, getting dressed, growing things, let’s create, scary things, snow, swimming, transportation and zoo animals.